The most irresistible spot in Our Center for Compassion is easily the viewing window at the second floor Kitten Nursery, spring through late summer when this space is buzzing with hungry, bouncy kittens and specially-trained volunteers who care for them in shifts. Kittens housed in our nursery are not yet available for adoption. They have undeveloped immune systems and cannot eat on their own. Volunteers hand-feed them using syringes and help kittens go to the bathroom. This nursery is part of our larger Hope Program, the lifesaving work made possible by donations. 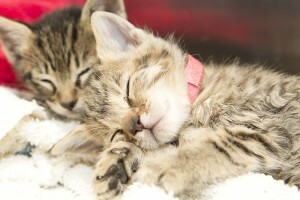 As kittens develop and become less fragile, on-site nursery care is no longer necessary. Still, these growing kittens need transitional foster care, which volunteers provide in their homes. After weeks of home care, kittens return to PHS/SPCA where they are quickly adopted! During the “off season” when we don’t have kittens requiring nursery care, this room may house adult cats with adoption potential but underlying medical or behavioral issues. 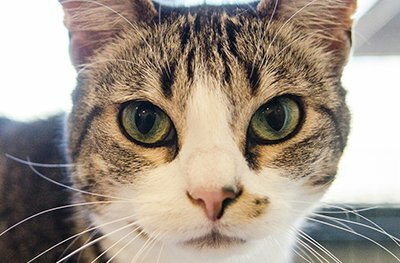 These adult cats – like the kittens – also benefit from PHS/SPCA’s Hope Program; they receive special veterinary care or focused behavior work so they can be made well, then placed into new homes. 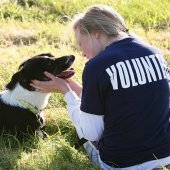 The work in this room, the work in volunteer foster homes, the behavior evaluations and medical care for animals with special needs – all this vital work – is made possible by skilled employees, dedicated volunteers and generous donations. Peninsula Humane Society’s kitten nursery is opened annually when the onset of kitten season is such that we cannot manage the numbers of incoming kittens through our foster program (a program we operate year ‘round), and we close it each year when that number of incoming kittens drops to a level we can manage through foster care. Further, when the nursery closes, the room is not closed but rather is repurposed to help adult cats with behavioral or medical problems. Bottom line, we help kittens, cats, dogs, puppies, rabbits, guinea pigs, native wildlife, etc. every day of the year. 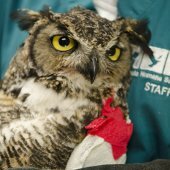 We accept responsibility for all of these animals in San Mateo County (wildlife come to us from SF through Northern Santa Clara County) every day of the year. To become a foster parent, please contact Brian Probst at 650-340-7022, ext. 328 or bprobst@phs-spca.org. To donate, please contact Lisa Van Buskirk at 650-340-7022, ext. 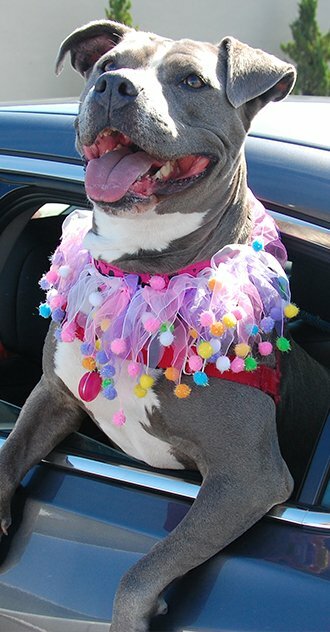 327 or Lvanbuskirk@phs-spca.org.